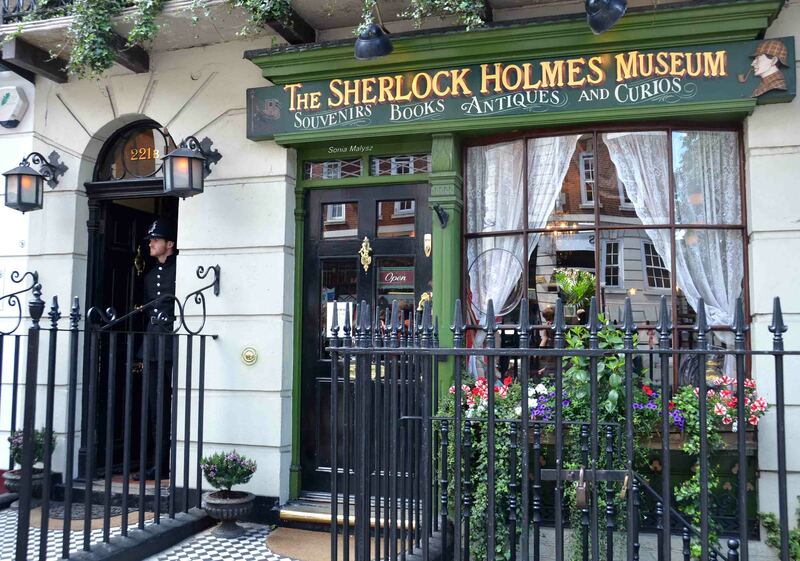 Sherlock Holmes Museum is an institution privately owned by The Sherlock Holmes Society of England. I came to London absolutely sure that this is a must-see place for me. 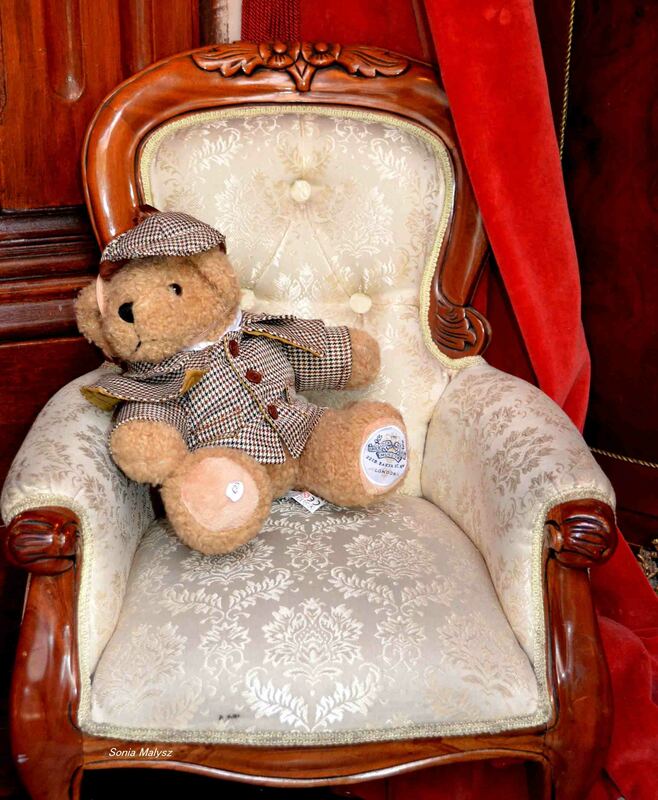 I am a big fan of Sherlock as portrayed by Sir Arthur Conan Doyle. Much less of a fan of its movie adaptations, no matter what they may be. In my opinion there is just no substitution for the written word and the workings of ones imagination while reading and making one’s own ideas. With this ( I will admit ) rather old fashioned frame of mind, I was first disappointed at the actual appearance of the apartment building where the famous personage of Sherlock Holmes would have resided, had he actually lived. It seemed too modern and “out-of-character”, of course according to what I had imagined. Then was what seems to me a steep price of 15 pounds per person ( there were five of us ) to see two or three rooms plus a bathroom. In the end mostly because I did not want my own memory spoiled by what would probably be a rendition of the last Sherlock TV series, I did not go inside. The room on the photographs does seem like part of the museum. Whether it is or not, I do not know. I found it while going to the loo in the basement. 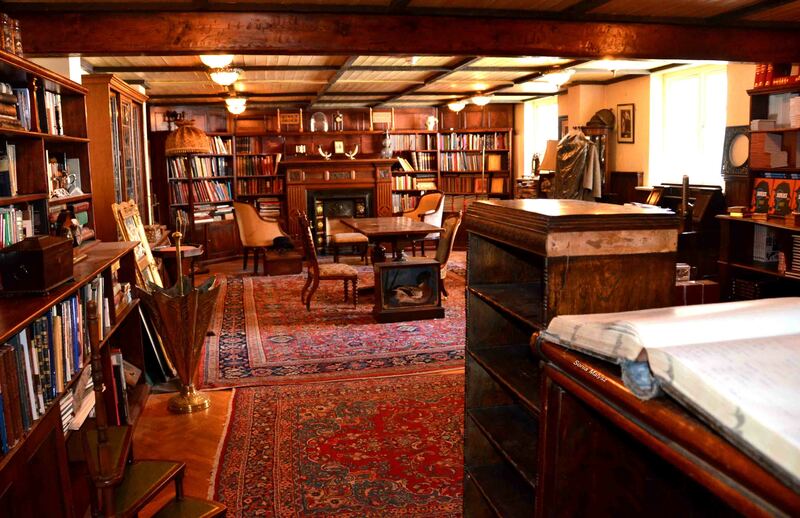 It seemed to me that Sherlock might have been sitting in a room like this smoking his pipe. There, for the first time, I had the opportunity to stand on an old scale that gave my weight in stones. I wondered if it is still used anywhere in the world?